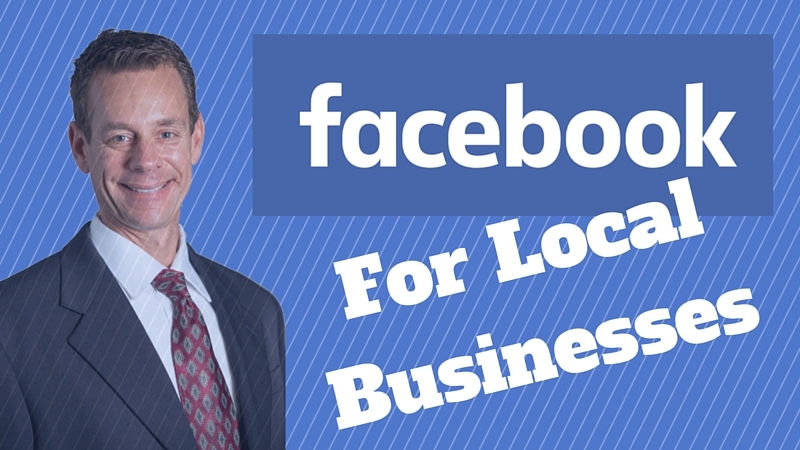 Watch the video above where I share with you a cool service for local businesses and Facebook Ads called Social.pr. 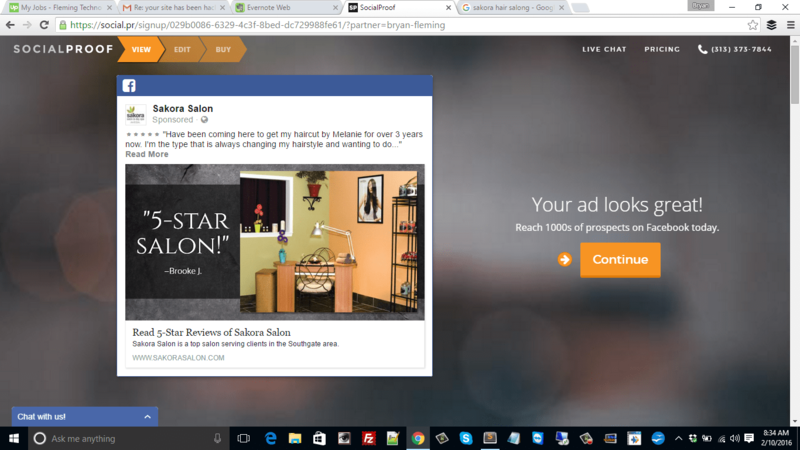 The link in the video is: http://buildingsocialproof.com/localbusiness/ – Use this link to get remarketing added for free. You own a local business. You keep hearing all the success people are having on Facebook. You want great results from Facebook too. But you just don’t have the time to learn how to do Facebook the right way. I mean who else wants to Give Facebook $1 and get $2 back in new clients? Well Today I’m excited to share with you what the guys over at social.pr are doing for local businesses just like yours. Let’s look at their platform and see how you can have a winning Facebook ad campaign all set up for your local business in just 5 minutes. Be sure to use this link. I will why later. It’s important. I put in my brother’s hair salon. A few seconds later they found his business and made a pretty good Facebook ad. It’s almost like magic. Pretty cool hey? The guys over at social.pr already know you do not have any time as a business owner to mess around with Facebook ads. They will help you make the ad even better if you want them to. There is plenty of online chat help too. But I think this ad looks pretty just how it is. Notice the nice testimonial they found off a Yelp review. These kind of ads are proven to work great on Facebook. Next just select how many people you want to see your ad each month. That all there is to it. See I told you it was super easy. There is lot going on behind the scenes too. For one. 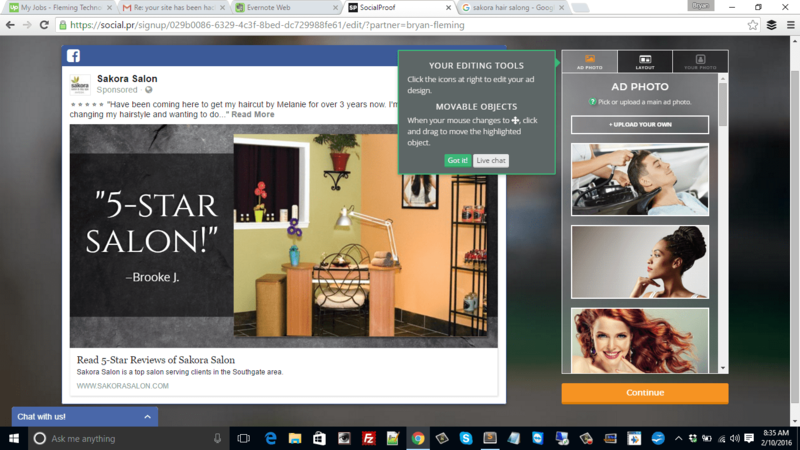 The guys over at social.pr already work with a lot of hair salons. They already know exactly how to set up the complicated Facebook ad targeting for your business to get you better results. Now why use the BuildingSocialProof.com link? Because when you do the guys over at social.pr will hook up website re-targeting absolutely free. Now Re-targeting is vital to having success on Facebook. Why? Because You want your ads to keep showing to people who came to your site but were not ready to buy. 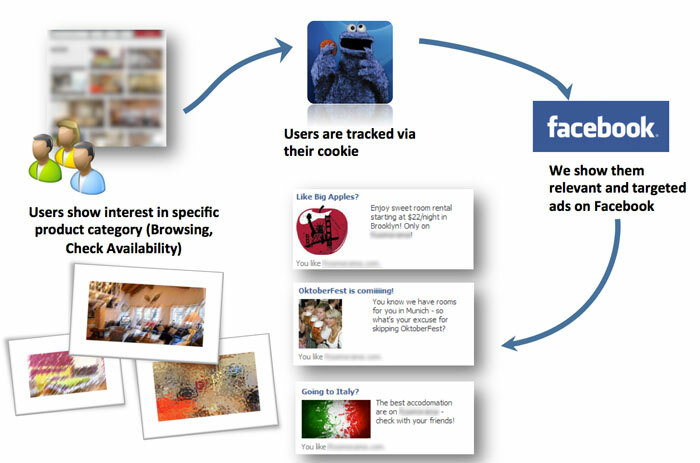 With re-targeting, your ads will follow them around on Facebook until they call you. I would charge at least $100 to set this service up for you. 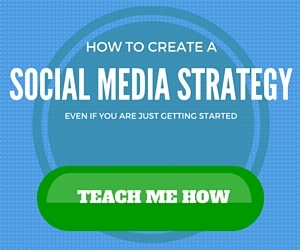 But you get it for free just by using the buildingsocialproof.com link. As you can see the service they made over at social.pr is pretty amazing. 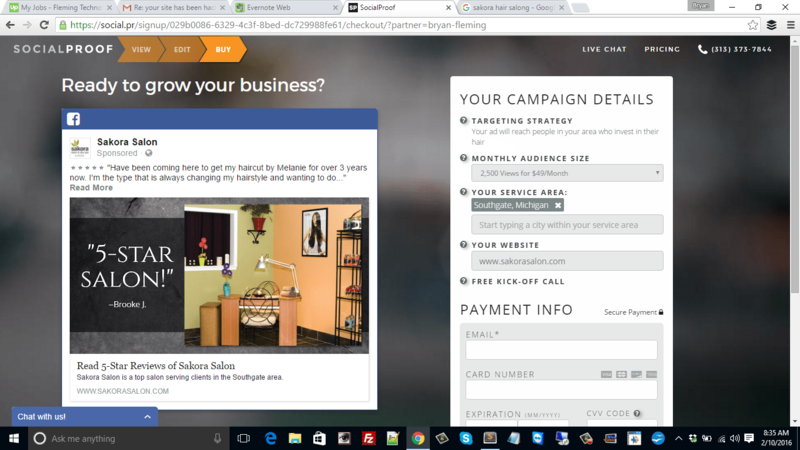 You get great looking Facebook ads and campaigns without spending any time. 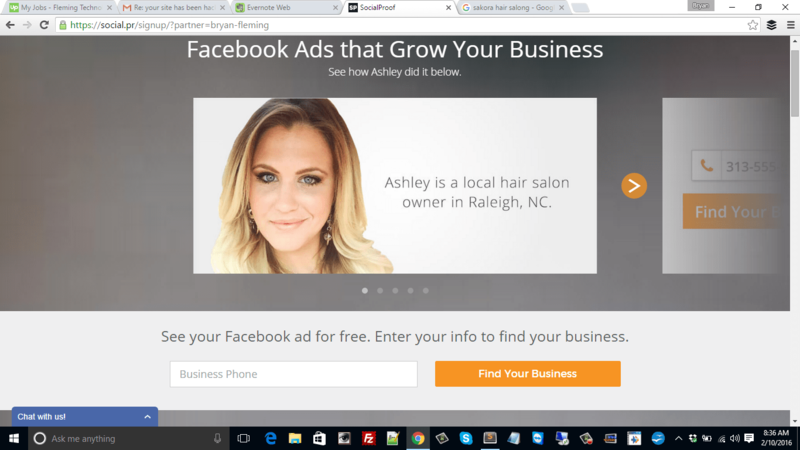 If you want fast results from Facebook for your local business but do not have any time. Then check out buildingsocialproof.com/localbusiness/ and get started with the guys over at social.pr today.